It's no secret that I've been a pretty big cheerleader for the dip dye trend - also fondly referred to as ombré - on this here blog (evidence here). 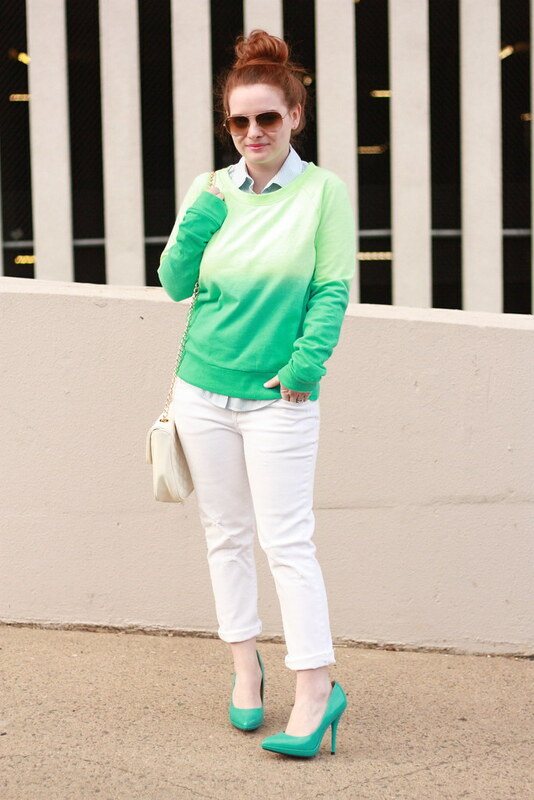 So when I had the chance to team up with Target for a series of posts to talk about what's hot for Spring 2013 and dip dye was the first one, I was super excited. It's basically impossible to step into Target right now and not get excited for Spring. (Unless, of course, you prefer the cold. In which case I'm not sure we can be friends.) The bright colors and fun patterns are everywhere - and this cozy sweatshirt was the perfect piece to add some vibrance to my winter wardrobe. Its various shades of green remind me of all the new blooms we'll soon be seeing now that the warm weather is on its way! 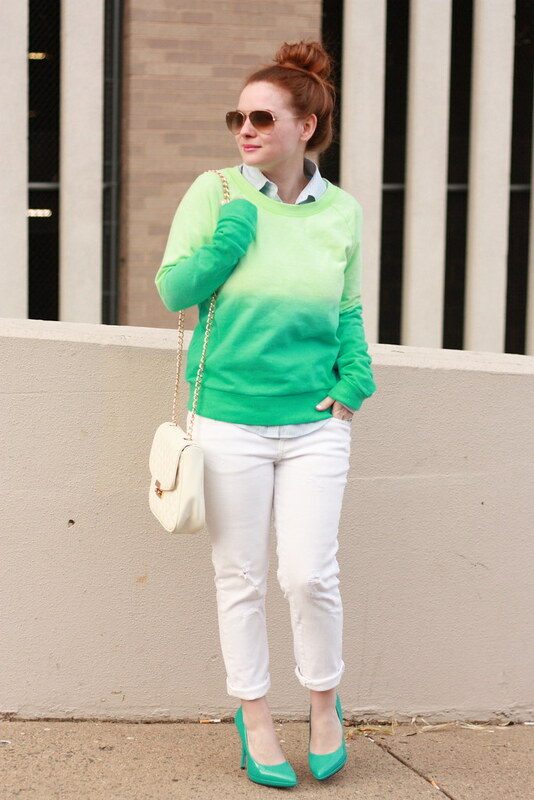 In addition to this sweatshirt, Target also has some other fabulous dip dye pieces that promise to play well with what's already in your closet. If you're looking for something a bit more subtle, this scarf is a great place to start (plus it's black and white, another huge Spring trend). I'm also considering snatching up this tote. 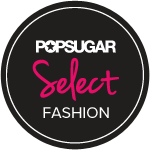 It's the perfect size to fit anything and everything you'd need for a day at the beach or the pool. Who else is counting down the days until Memorial Day? I am obsessed with Target right now - everytime I go in there (which is almost daily), they have put new things out and I can't help myself! Just bought a straw baseball hat that I have been wearing constantly! I was so overwhelmed in Target this weekend (I left clothes for last and ran out of time because I couldn't believe how good everything was), that I had to go back a second time! I ended up getting a few things online with their 20% off sale they were having, including these mint polka dot skinnies -> http://www.target.com/p/merona-women-s-rolled-ankle-jean-fit-4-dot-print/-/A-14413653#?lnk=sc_qi_detailbutton. They are darling. Now I am going to have a hard time deciding on what color I should get for this sweatshirt. The green is so cute too! I love the sweatshirt - and Target!!! I'm going to have to go check the spring items out.. I can't wait for warmer weather! Adorable! Love the green heels! I loovvee that sweatshirt! SO cute! Target is my happy place.. seriously the best!! 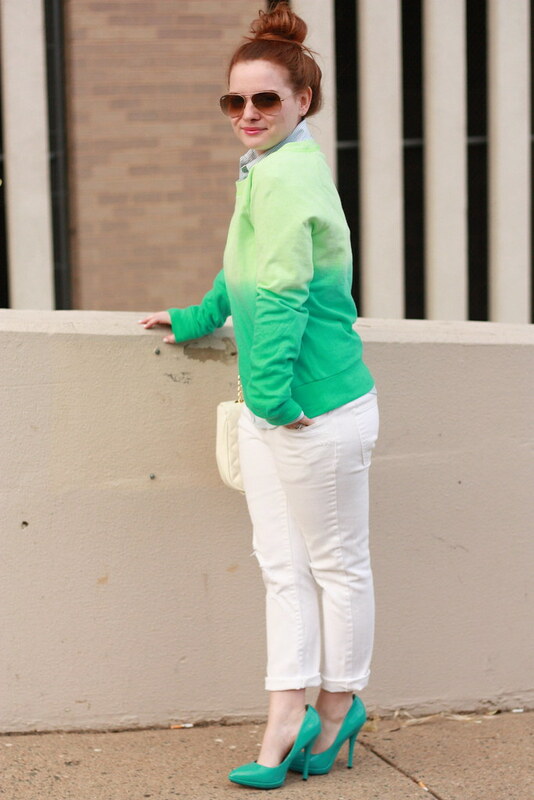 Looks great, I am loving this sweatshirt, just have to pick which color I want! That sweaters is so, so pretty! Green is my favorite color! 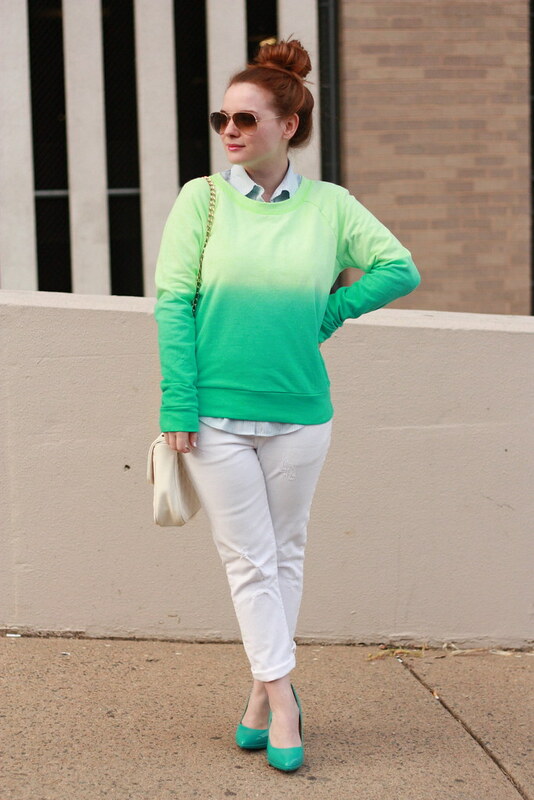 Love the ombre trend! That sweater is too cute! Love the color! You are so adorable! I wished we lived closer to each other and could grab lunch/dinner :-( I'm also missing out on Lucky FABB this year...so sad! 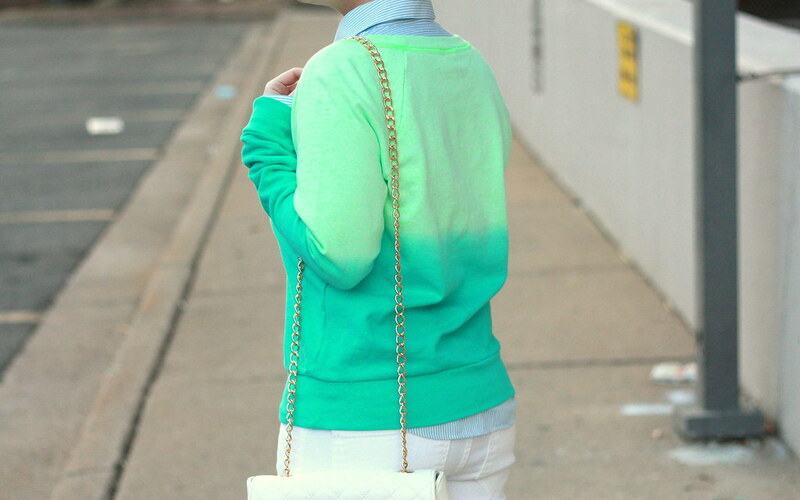 amazing ombre sweater. pretty color.